Jerry is a lifelong cowboy and owner of Win Oak Farms in upstate Wisconsin. 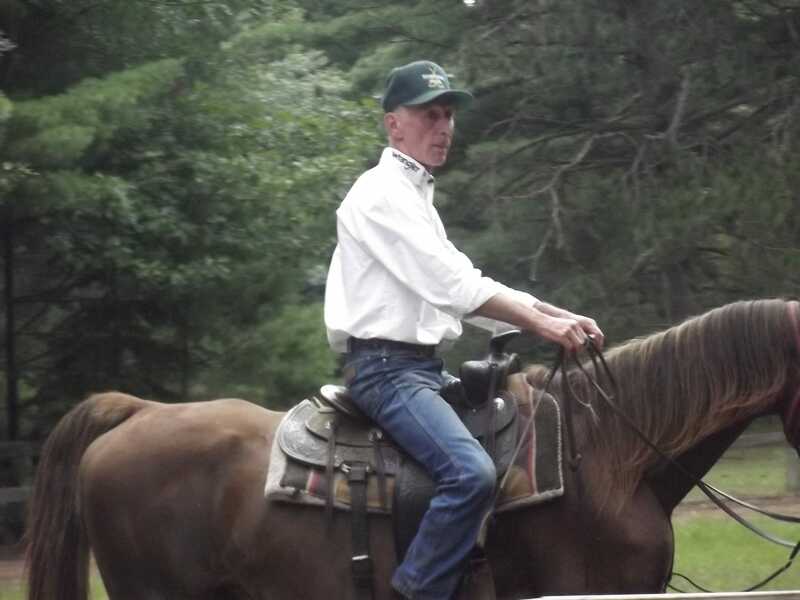 He’s also a polished Towering Pines veteran (5 years as a camper and 9 years as the Riding Director), and a member of that legendary Abney family that has been leading the TP Riding Program for 70 years. So Jerry knows a thing or two about horsemanship. Equally important, Jerry is a retired educator who understands how to nurture the passion that turns nervous campers into confident cowboys. 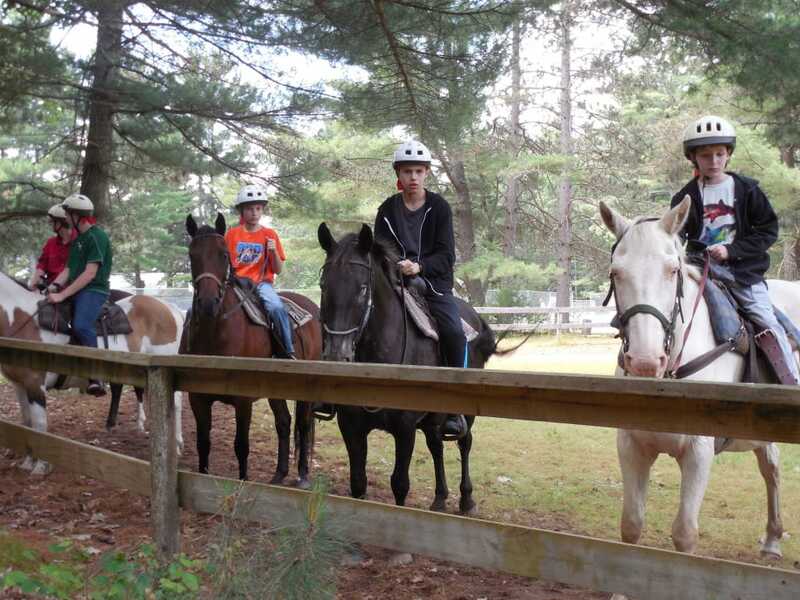 At Towering Pines, riders focus on safety and enjoyment. Under Jerry’s guidance, the TP campers begin by learning how to simply sit on a horse, i.e., finding their “seat of balance.” Before they’re allowed out on the trail, the boys have to master stop-and-go activities and directing the horse with rein cues. 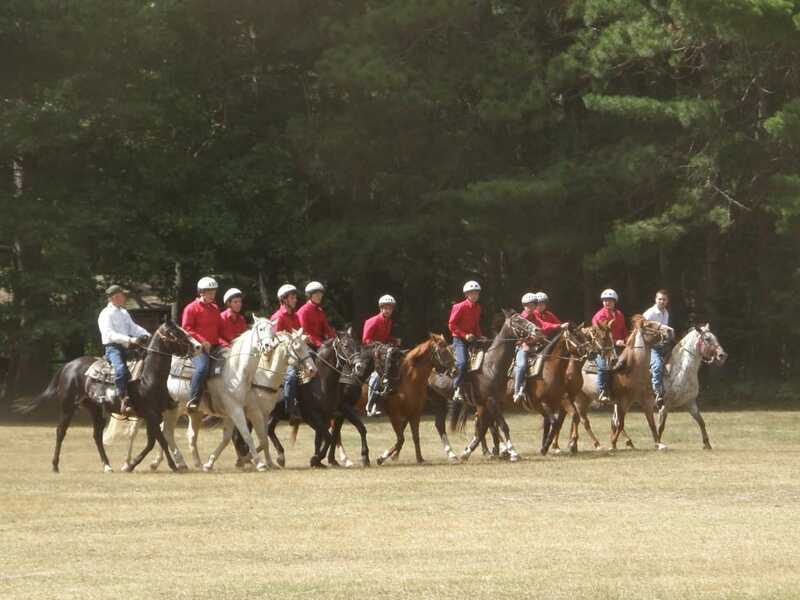 Milestones of competence in the TP riding program include Rider-of-the-Week accolades (and the accompanying White Hat) and the opportunity to perform in the end-of-summer Riding Show. 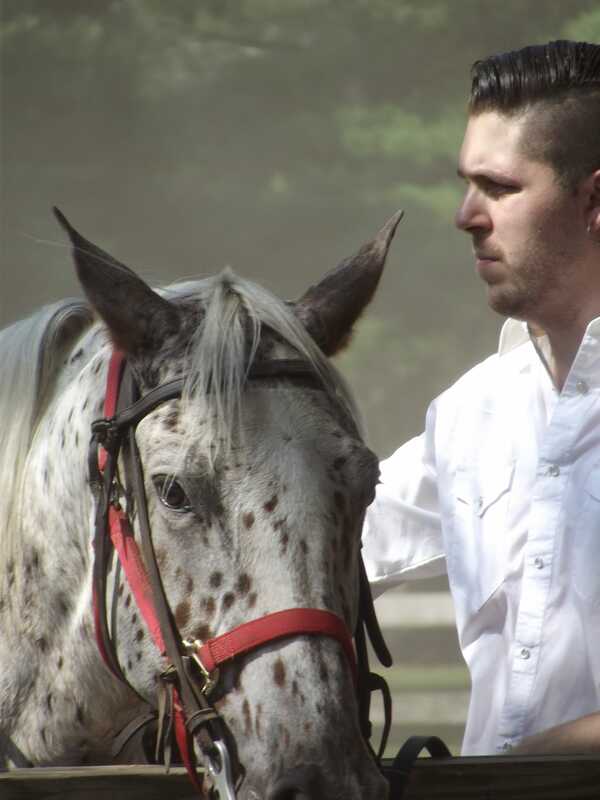 An integral part of the Towering Pines riding philosophy is that riding is a partnership between the rider and the horse. 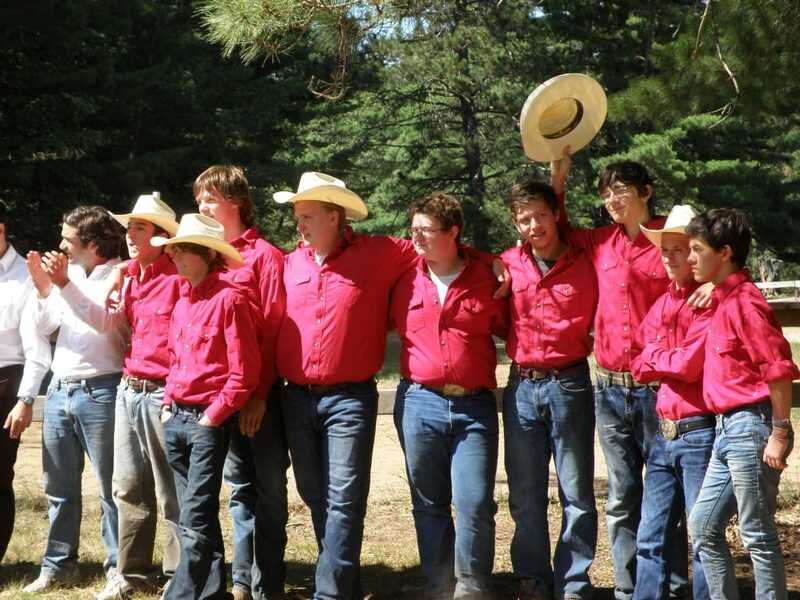 Campers who prove their cowboy mettle over the course of several summers may be invited to become a member of the prestigious Red Shirt barn crew, the pinnacle of cowboy brotherhood at Towering Pines. Red Shirts are responsible for waking themselves up at 6 a.m. to care for the horses, including: cleaning out stalls, brushing the horses’ coats, combing out manes, putting on bridles & saddles, feeding & watering the horses, and of course, how to fork manure! At Towering Pines, riding is a partnership. Red Shirts are also expected to devote one hour each day to help younger campers. Basically, the Red Shirts sign up for a riding class not to ride, but rather, to learn the enjoyment that come from serving others. It’s a foundation of the Red Shirt ethos. Yes – just to be clear – the same boys who fight with their siblings at home and won’t put their socks in the hamper go to camp and compete to wake up before the sun, help younger campers, and rake out horse dung. At the end of the summer, one single outstanding camper is recognized as the “All-Around Cowboy” of Towering Pines. Earning the All-Around Cowboy title is takes much more than being the best rider. In fact, riding prowess is only 25% of the criteria. Barn service (the feeding, cleaning, helping younger riders, etc.) is another 25%. The biggest factor, 50% of the award, is embodiment of “Cowboy Character.” This ethereal quality includes characteristics like compassion, reliability, honesty, respect, etc. Basically, you have to be the classic cowboy gentleman to even be considered for the award. Notably, the campers have to exemplify this Cowboy Character around the entire camp, i.e., not just at the barn. Red Shirt, White Hat, and boots – one of the most prestigious outfits at camp.